Moving is stressful for everyone—even your little ones. While children may not initially understand what it going on while boxes are being packed and pictures are being taken off the wall, they absolutely know that something strange and out of the ordinary is going on. When you finally break the news to your kiddos, they may feel upset or confused. According to social worker Lori Collins Burgan who is the author of “Moving With Kids,” children feel powerless when they find out they are moving away from their home because they feel like they don’t have any input in the decision. With this in mind, “inclusion” is the most important thing you want to focus on when preparing your children for a move. Make your kids feel involved in conversations about your new home or ask for their opinions when smaller decisions need to be made. Professional real estate agent Rose Depoe makes your happiness her priority when it comes to helping you buy or sell your home. This includes offering helpful insight as well as tips and tricks to ensure your move is a fun and exciting experience for everyone in your family. That being said, read on to discover a few quick tips that will make a big move easier on your children. And remember: inclusion is key! Find your new home, together. If you have only recently contacted Dallas-Forth realtor Rose Depoe to help you find your dream home, this is the perfect time to bring your little ones along while you are on the hunt. They may be interested in houses that are wildly different than what you are looking for, but the important thing is that they feel included in the selection process. Don’t completely dismiss their favorites later on, either—they may feel tickled if a week later you drive past their suggested property and ask them what it is they like about it. Let your kids draw a map of their new rooms. Get out the art supplies—construction paper, tape, markers, crayons, the whole shebang! How amazing and extremely included are your children going to feel when they have total control over the floor plan and paint color (maybe?) of their future room!? Have them draw out where they want every piece of furniture to go. Where should the dresser go? And what about the trunk of toys? Should the bed get set up next to the window or closer to the door? To really “up the ante,” bring home paint swatches or any other swatches that could inspire their imagination. Put together a trunk of essential treasures. Just like the adults should pack a separate box or file with important information or valuable, expensive belongings, so should you kids. Their “treasure trunk” can be something as simple as a decorated shoe box and should include their favorite toys, photos, games, etc. to keep them occupied during the drive to your new home. Or, if they have more precious items that have a lot of sentimental value, tuck those away in the box. Not only will these goodies keep your kiddos occupied, they will also be able to keep their favorite goodies near them during what could be an emotional time for them. Everyone loves a party and putting a positive spin on what could otherwise be a tough situation for your children is a great solution. Invite all of their closest friends and have each friend take a picture with your children. These photos can be used in photo albums or even to create a memory book later on. If you are nearing your moving date, don’t worry about throwing a big, extravagant shindig—keep the celebration simple and focus on the goal of the party: giving your child an opportunity to say goodbye to their friends. Get in touch with real estate professional Rose Depoe. Rose Depoe puts her clients at the forefront, always! Whether you a new client searching for your new home or you are a current client that needs additional tips to ease the stresses of moving, give Rose a call today! Serving the Dallas-Fort Worth area, realtor Rose Depoe never measures success by the number of awards she has earned, her success is completely dependant on the satisfaction of her clients. Get in touch with us today! 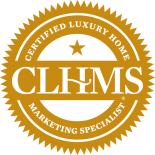 We look forward to making your real estate dreams a reality.